All Coaching Resources can be found via The Positive Coaching App which is dedicated to helping coaches learn, improve and further develop their soccer coaching skills and knowledge of the game. From basic coaching theory and age appropriate ‘print and go’ session plans for each level and age group, to recommended systems of play, principles of playing the NGS Way plus our Player Development Model you should find everything you need to be a successful volunteer coach with NGS. Our ever developing curriculum is designed to improve the development of players within NGS, focusing on creating more organized, age-appropriate training sessions, developing coaching practices and creating an environment that is fun for the players. The session plans are organized by age groups and by training themes following a 10 week cycle. Each session plan is designed specifically to be age appropriate. 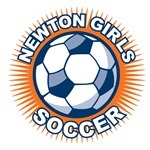 At Newton Girls Soccer we believe that a ‘player centered’ approach to coaching is the future to unlocking potential in all players. The Age Group Guidelines help support the theory behind the curriculum allowing the coach to fully understand the needs of a female player, the playing environment and how best to develop the right kind of practice for their team.